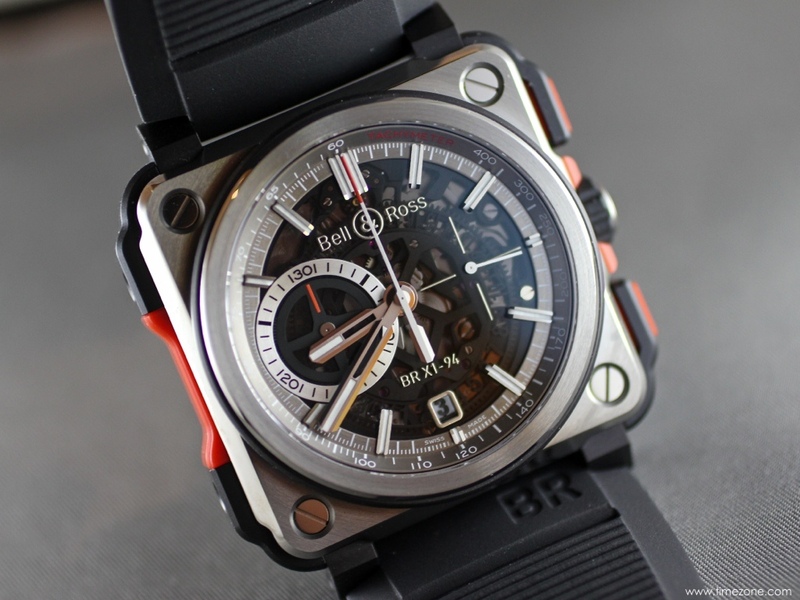 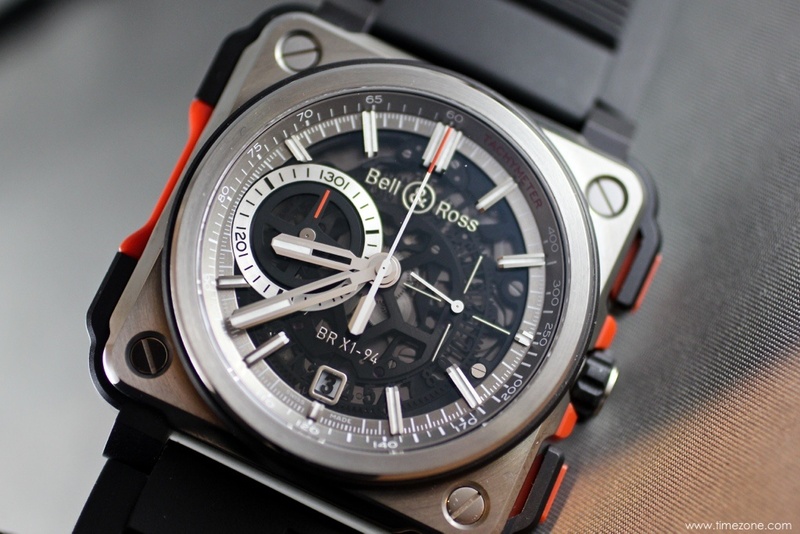 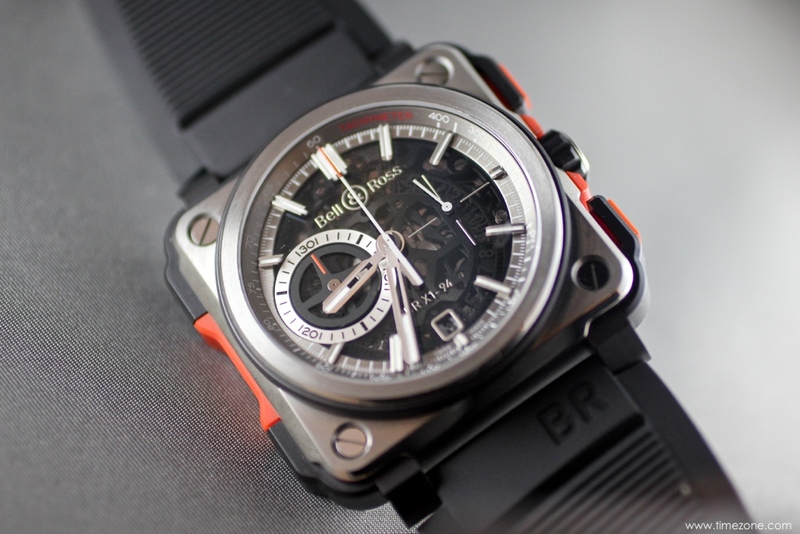 Our friends at Bell & Ross present TimeZone with this exclusive hands-on preview of the new BR-X1 skeleton chronograph. 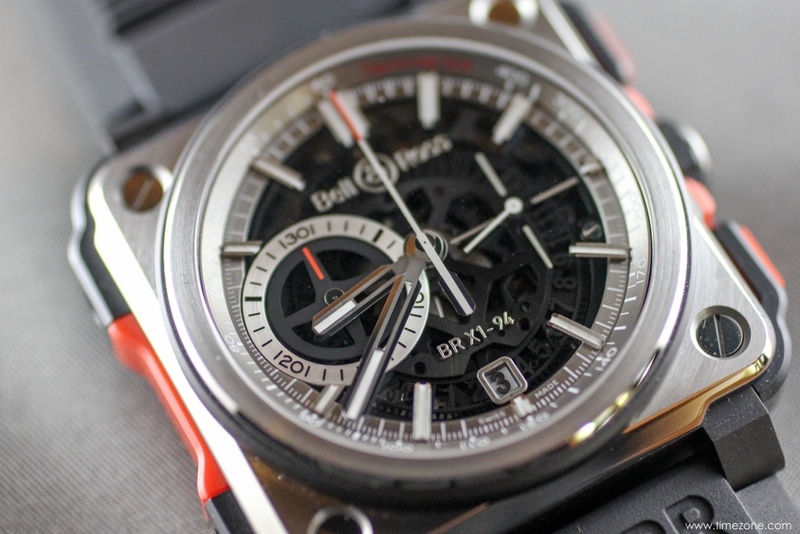 The dramatic BR-X1 is the extreme interpretation of the iconic BR-01, with a skeleton dial, titanium and ceramic case with rubber inserts and a special skeletonised chronograph movement with toggle pushers. 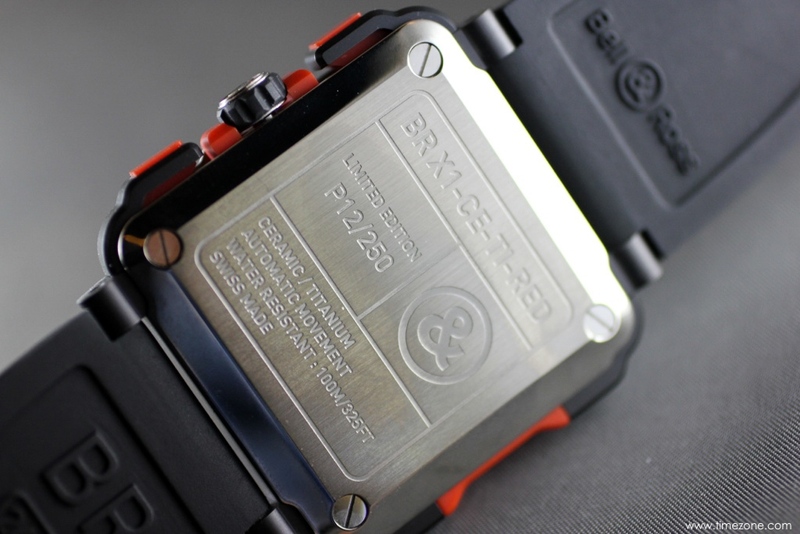 Limited to 250 pieces. 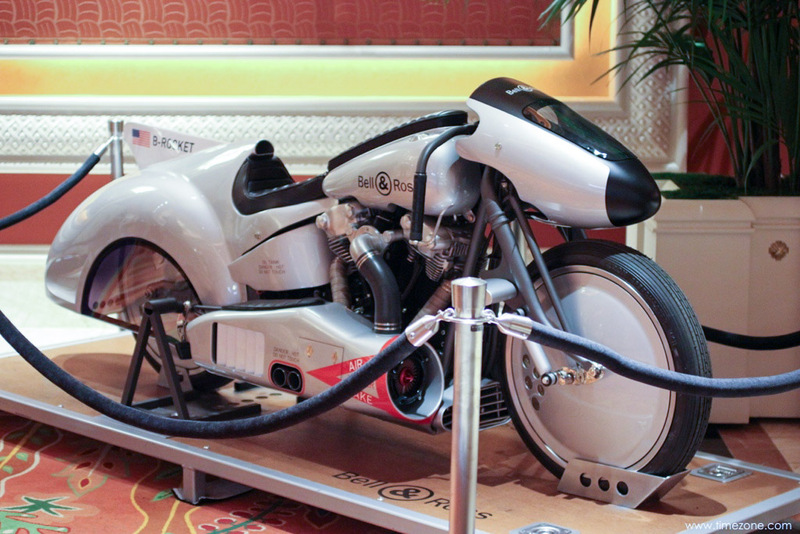 Price is $19,500. 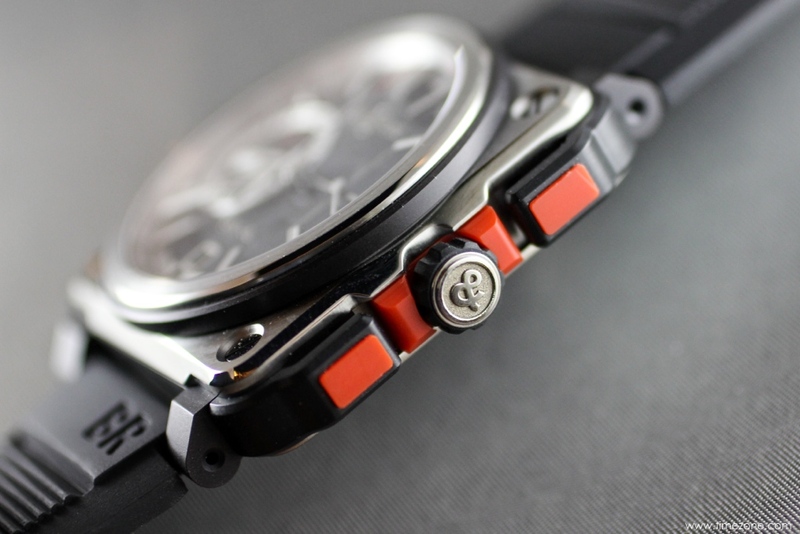 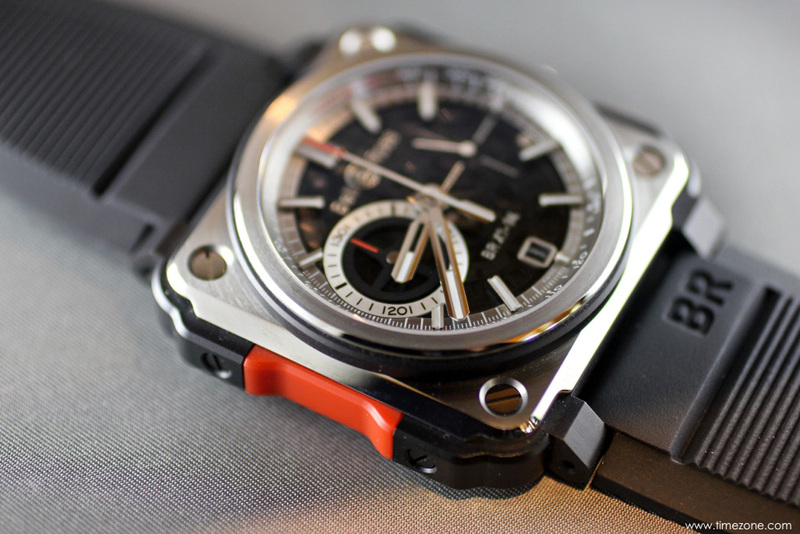 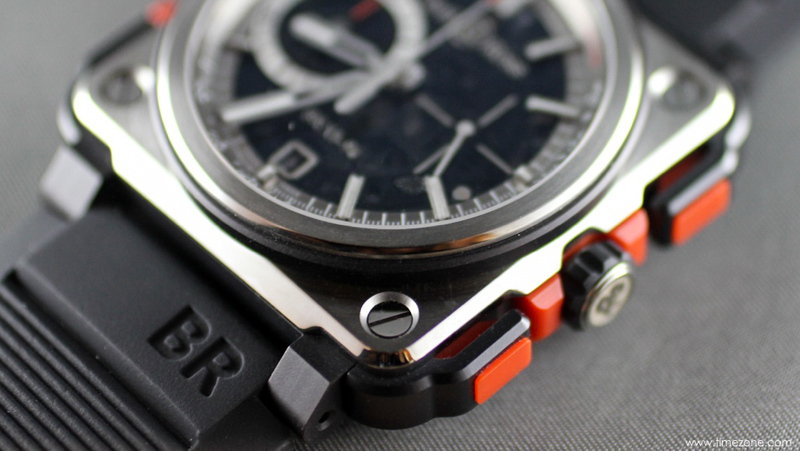 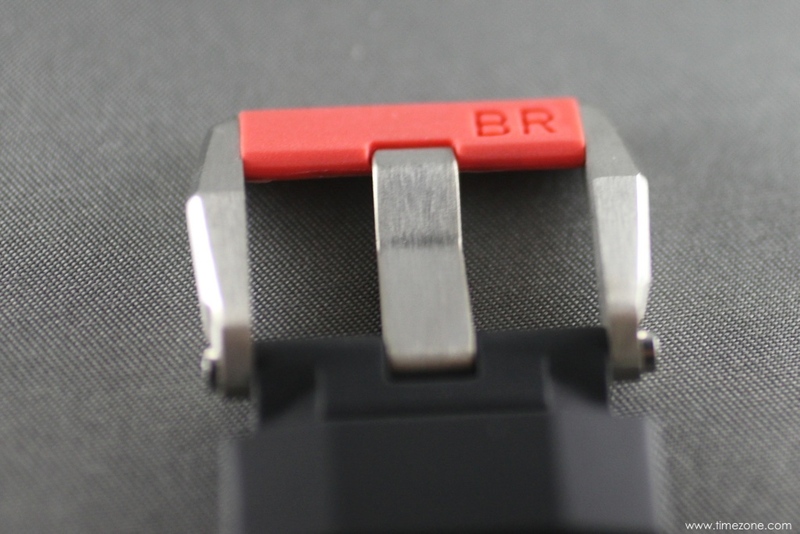 Prototype dial; the final production is simplified to "BR X1"